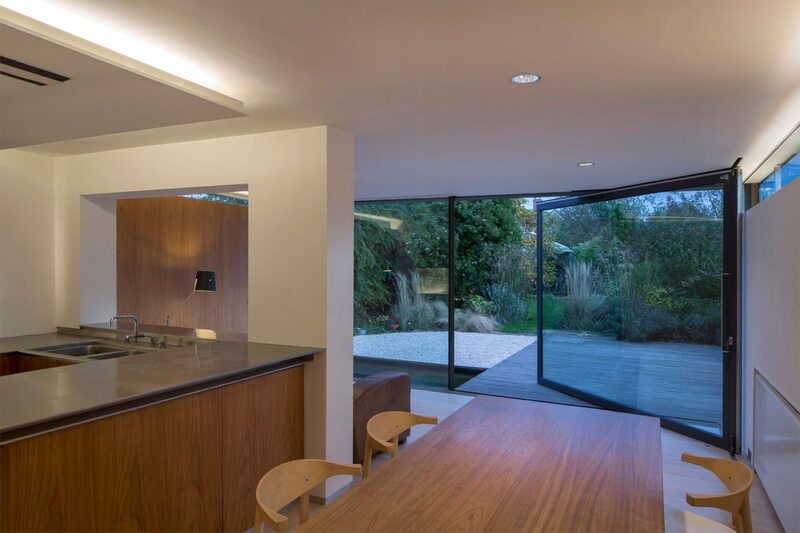 Our clients required a new kitchen and dining area that provided them with a greater connection to their garden. 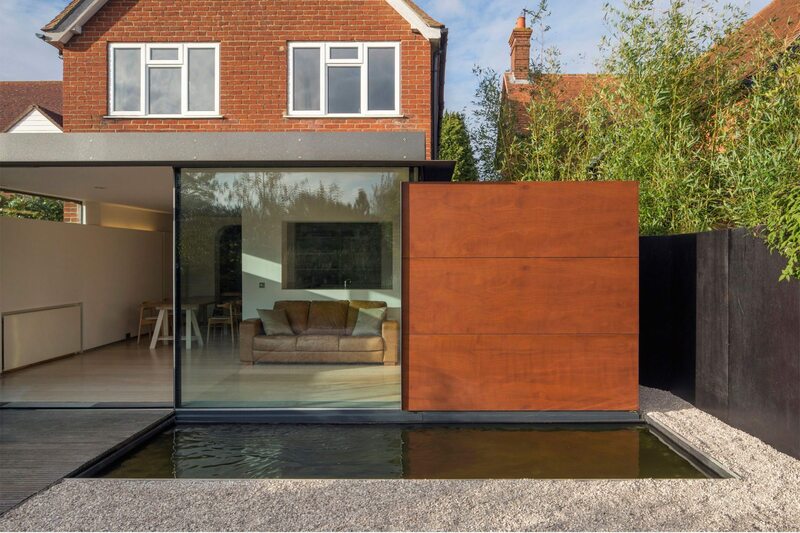 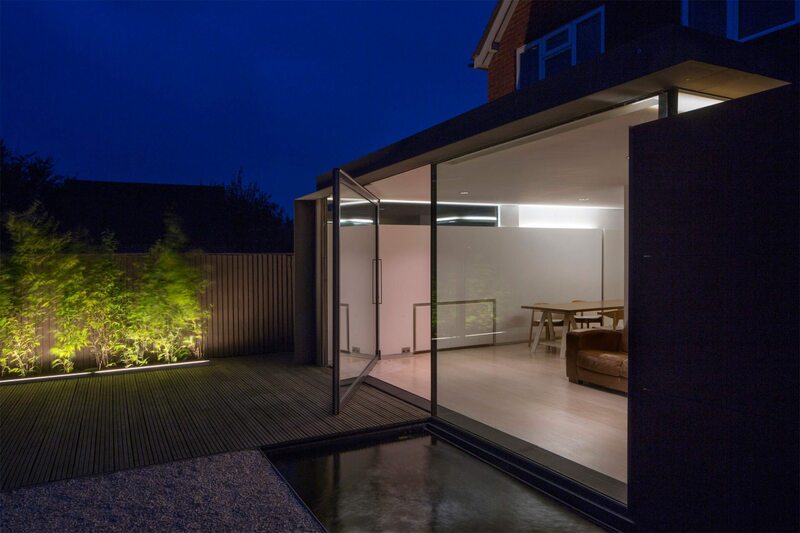 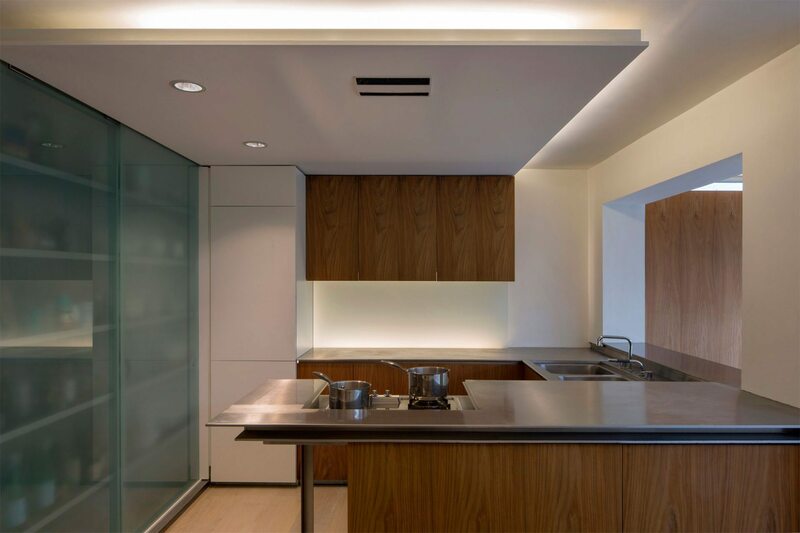 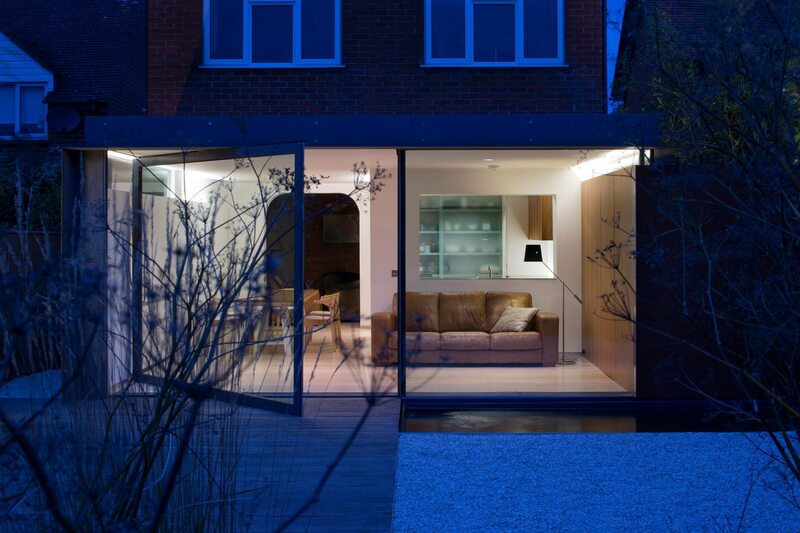 The existing spaces were replanned to flow seamlessly into a new sunspace complete with clerestory windows and a large slide and pivot glass door that opens up half of the rear glazed elevation. 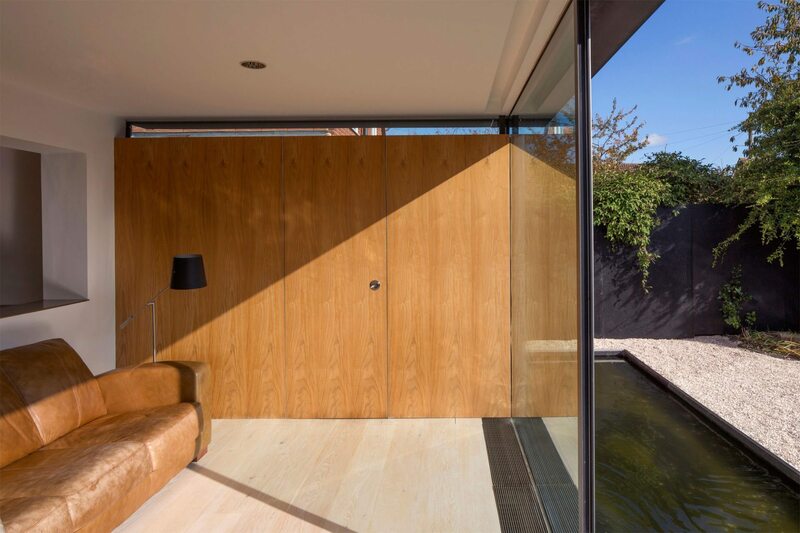 Outside, a reflective pool reflects dappled light onto the ceiling of the sunspace.